Buying a new home is probably the biggest investment any of us will ever make. And it’s unlikely to be a one-off; as our families grow and circumstances change, we’ll need more space as the years pass. 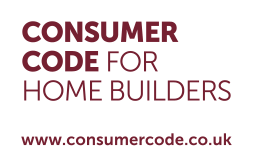 Moving home isn’t cheap of course, and although the Government and housebuilding industry has initiatives designed to get first-time buyers onto the housing ladder, if you’re looking to make the next step up, the financial advantages aren’t quite as clear. Some people take one look at the uncertainties in the current housing market and, perhaps understandably, decide to spend the money on renovating their old house instead. But is that a good financial move? Let’s look at the evidence. According to the Government’s UK House Price Index, the average cost of a property in November 2018 was £230,630. The cost of buying a house, including mortgage valuation, property surveyors, conveyancing fees and Stamp Duty, is, on average, £3,317.00. To sell your current house will typically cost £6,893.00, including conveyancing fees, EPC, estate agent’s fees, and removals costs. Ouch! I’ll stay put and renovate. Surely doing up the old place won’t cost that much? Think again! The cost of keeping your house going – electricity and other utilities, plus the cost of repairs and updating, all need to be considered in the stay-or-move equation. Costs aren’t everything, of course. With a new-build four-bedroom home, for example, you’ll generally find lots of features that are missing or non-standard in an older home – for example, a garage and additional allocated parking (handy when many families have at least two cars to park), a downstairs cloakroom and an en-suite bathroom in addition to the main bathroom, and lots of power points just where you need them – plus safety features such as smoke alarms, window locks and intruder alarm (or wiring for one).  So, if you’re sold on the idea of a brand-new home, you would be well advised to consider Jelson because, unlike many other new-build homes , Jelson homes are ready to move into when you take delivery of the keys. Carpets and tiled floors are already laid, and ovens and hobs already fitted. There’s a lawn to your back garden and fencing, too, so everything is ready for you to start enjoying your new home without delay.